Who hasn’t thought about curing fish at one time or another? 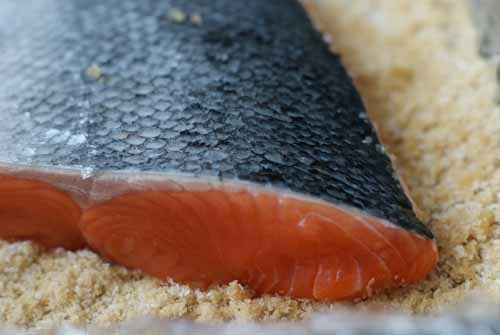 Making your own gravlax is easier than you might think. It doesn’t take much more than some salt and some time. As in, if you want to serve it at your brunch tomorrow, you’d better get yourself to Zabars. But if you are planning ahead for next weekend, let’s go! 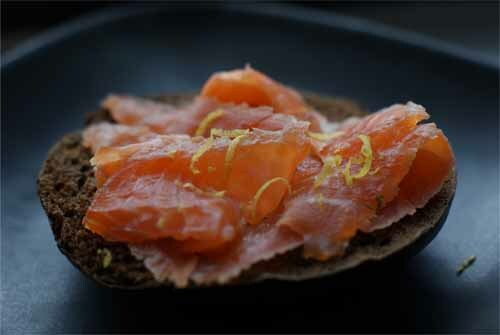 Gravlax – which translates roughly as “buried salmon” – is thought to have originated in Scandinavia during the middle ages when fisherman would preserve salmon by salting it, burying it in the sand, and leaving it to ferment into something presumably delicious. 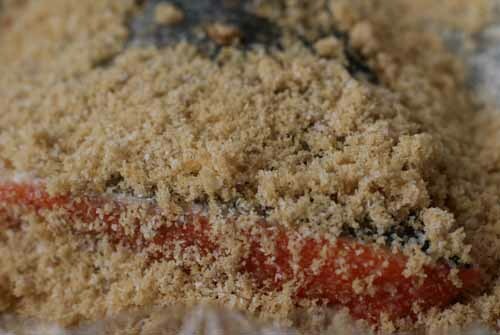 Today, traditional gravlax is made by “burying” the salmon in a combination of salt, sugar and dill. 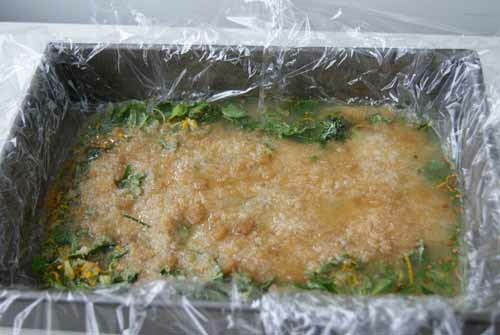 The moisture in the salmon combines with the dry ingredients to create a brine. 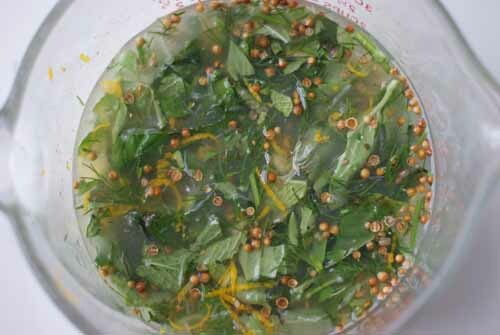 Over a few days, the brine will cure the fish into something spectacular that is best served on a bagel. 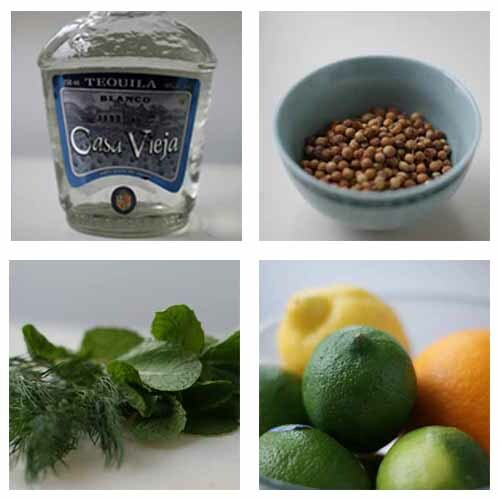 The basic cure can be altered to include items like aquavit and juniper berries to enhance the flavor. I came across this recipe for Tequila and Lime cured Gravlax back in 1996 when I received a cookbook that quickly became a favorite: In Julia’s Kitchen With Master Chefs, the companion volume to Julia Child’s 1990’s PBS television series where she invited various awesome chefs to hang out in her kitchen and cook (let’s take a moment to contemplate just how sublime that must have been). 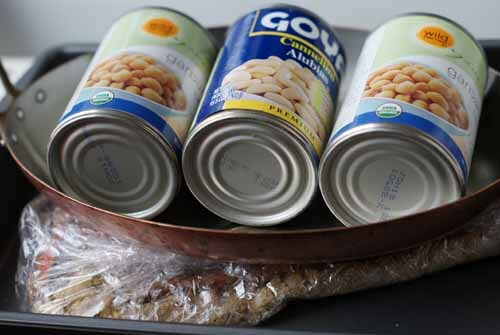 The directions seemed simple enough, so I thought – why not give it a try? 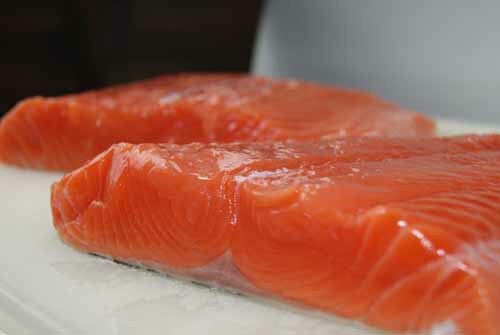 The truth is, gravlax is so easy, it’s like the gateway drug for wanting to cure everything else. The whole process takes from 3-5 days, but most of that is waiting around. The first step is to purchase about 1 1/2 pounds of high quality salmon. Bring it home. 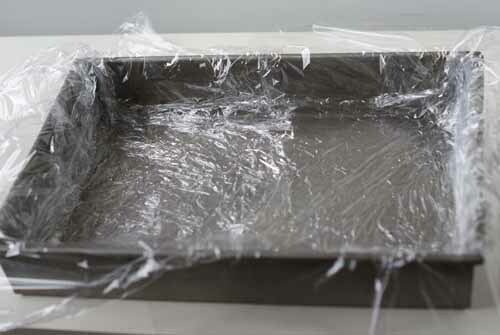 Wash it off and run your finger over it to find any bones, which you can pull out using tweezers. 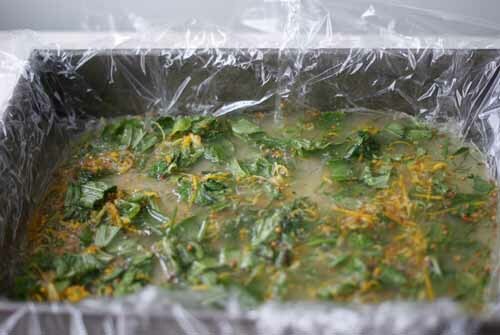 Take the whole crazy set-up and refrigerate for 24 hours. Make sure you don’t have more than 5 lbs of weight total on the fish or it will squish down in an unpleasant way. 3 sprigs each of fresh dill, mint, and basil, with stems and roughly chopped. 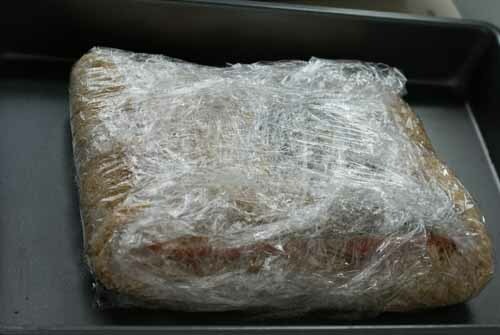 Put your fish back in, skin side up, re-wrap it and replace the weights. Back in the fridge it goes for another 24 hours, after which you will take it out, carefully unwrap it and feel it from one end to the other. The flesh should be firm (but not too firm) and a deep red color. 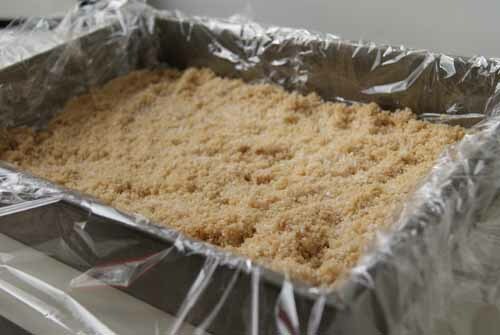 If it is too soft, put it back in the fridge for another day. Be careful not to let it go too long, however, or you will end up with salmon jerky (I have had this happen and it’s quite depressing). I also recommend taking the weight off the fish for the second day of the wet cure. 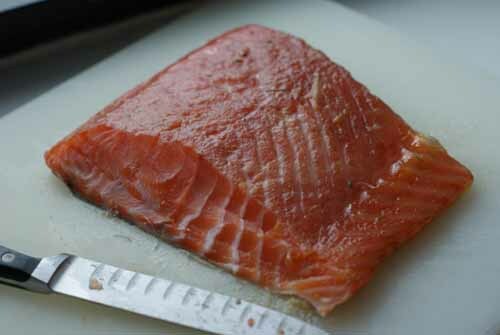 When you feel your gravlax is ready, take it out and slice it thinly starting at the tail end and using a very sharp knife. This takes some practice and I am not very good at it, but I can get the job done. 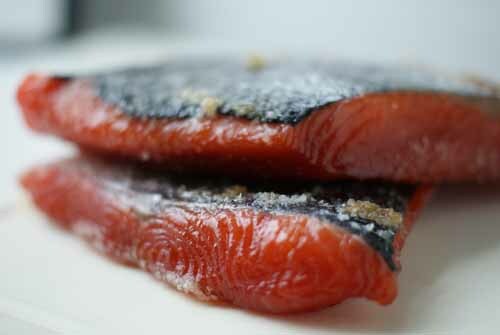 Only slice as much as you plan to eat and you can store the remaining gravlax in its cure for up to 10 days in the refrigerator. I make this a few times a year, but always at Passover. It’s a festive appetizer and you can even get kosher-for-passover tequila (yes, they actually make that!). It’s delicious on matzoh with a little honey mustard, but even better on a bagel or a slice of pumpernickel all year round. With Cinco de Mayo coming up in a few days, just think of the possibilities! 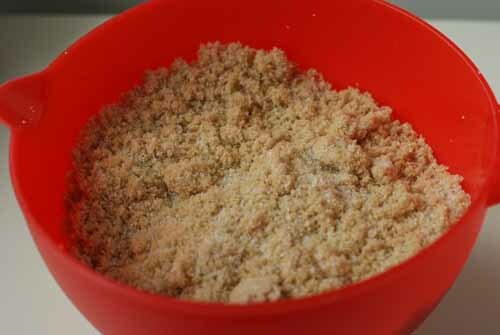 This entry was posted on May 3, 2011, 9:50 pm and is filed under Kitchen Alchemy, Recipe. You can follow any responses to this entry through RSS 2.0. You can leave a response, or trackback from your own site. I love it! It took me a bit to get past the first sentence though as I had to come to grips with the fact that I have not ever really thought about curing fish. Is there something wrong with me? No. Perhaps there is something wrong with me! thank you. I am going to try it! yum. This is such a gorgeous step-by-step tutorial! 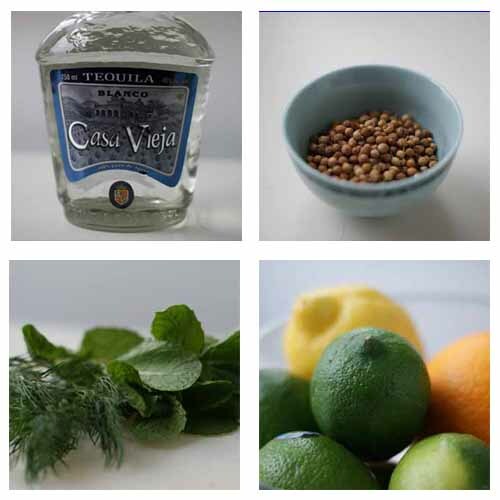 Now I am hungry for gravlax and thirsty for tequila! I really want to try this sometime, especially thanks to the mouthwatering photos.